Men – Stroke – Monthly Medal. Sponsored by Drummond Golf, Ballarat. 56 Players, AMCR = 72, DSR = 72. A Grade & Medal Winner … Mark Marson (4) – 70 nett. A Grade Runner Up… Wally Passalick (9) – 71 nett c/b. 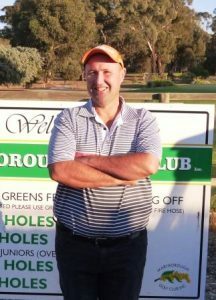 B Grade Winner… Graham Thomson (13) – 73 nett. B Grade Runner Up… Greg Sheridan (16) – 74 nett c/b. C Grade Winner… Gary Hutchinson (19) – 72 nett c/b. C Grade Runner Up… Ross Chandler (18) – 72 nett. 2nd – Neil McAntee, 6th – Atrel Turner, 16th – Josh Lacey, 18th – Barry Hawker. 73 nett … Peter Kelly, Gary Reed & Geoff Newell. 74 nett… Rob Bird & Ross Dawson. Murph’s Pot – Mark Shortall with 71 nett. Club Bistro Lucky Draw… Nev Fitzpatrick. Peck Trophy Matchplay Final… Karl Lind d Mick Cameron. Women – Stroke – Monthly Brooch. 21 Players, AWCR = 75, DSR = 75. 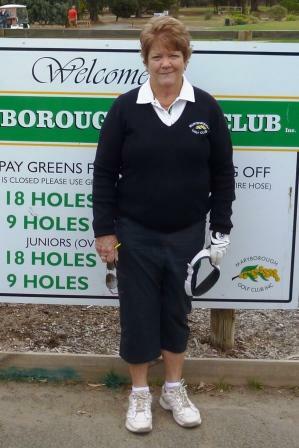 A Grade & Brooch Winner… Jan Berry (21) – 72 nett. A Grade Runner Up…Leanne Burt (20) – 74 nett. B Grade Winner … Cheryl Baker (26) – 80 nett c/b. B Grade Runner Up…Jenny Davey (32) – 80 nett. 2nd –Doris Jennings, (Oakford Farms Ball), 6th – Helen Farnsworth, 18th –Sonya Stoneman. 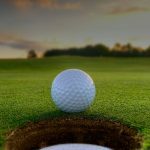 Ball Winners… 76 nett – Doris Jennings, 77 nett – Sonya Stoneman, 81 nett – Phyllis Proctor c/b Stacey Smithwick. Least Putts… Leanne Burt with 26.